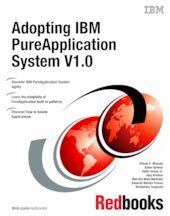 This IBM® Redbooks® publication introduces users to the concepts of the IBM PureApplication™ System V1.0. This book covers the most common problems, solutions, best practices, and use cases about adopting the IBM PureApplication System V1.0. The target audience for this book is anyone from the IT industry who wants to acquire a better understanding of IBM PureApplication System, including technical consultants, business partners, and independent software vendors who are considering migrating to a cloud computing solution. This book also is applicable to system administrators, middleware specialists, and software engineers who need a more in-depth approach to PureApplication System features and capabilities.